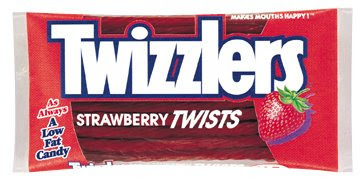 So lately I am obsessed with Twizzlers, especially the strawberry-flavored variety. It's funny because I normally am not one for gummy, chewy candy. I didn't like Twizzlers much as a child. I tried it again recently, though, and now I am craving it nonstop. Twizzlers = love. Now, I know it's not accurate to call this singer a current favorite thing, not only because she is obviously not a thing but because I don't just love her currently. I've always hearted this singer, from the very first time I heard her in middle school. I was either in 7th grade or just starting 8th grade. The song was "Silent All These Years." The lyrics were my rawest feelings set to music. Made beautiful. I'd never connected so viscerally with music before. Who was this sprite-like woman with the blazing red hair and the voice that could cut straight to my heart? I ran out and bought her album, Little Earthquakes, immediately. On cassette. (Yes, I am that old.) More than 10 years later (told you I was old), I am still in love with her music, still wondering what draws me so to her. Here is the video for her first single, "Welcome to England" off her new album Abnormally Attracted To Sin, which comes out on May 19. To learn more about Tori Amos, go here. YAY! I love your list. I am a fan of last min trips as well. SPUR OF THE MOMENT LIVE ON! yay for spur of the moment trips! Last minute trips *sigh* I'm still waitin for that"someone" who would even think about doing a last minute trip. Etsy is so addictive. If i get on there, i just browse for hours and cant stop! how funny, I was the same way when i was little with twizzlers. Couldnt stand them either. But, them somehow...the strawberry ones came into my life and i love them. I always bite off the top and bottom and use them as a straw in m favorite cherry cola drink and them eat them! @Kadonkadonk: I srsly heart your name. And I am also curious as to what inspired your hate for Etsy. Please elaborate. @Rose: Your mom sounds amazing. My mom doesn't even like driving on the freeway! But I love her anyways. :-D And also I love the word "whilst." Wish we used it here in the states. So much more fun to say than plain old "while." Perhaps I should have said Etsy is like my own personal brand of heroin. ...Or crack. Or whatever drug makes you lose all self control and spend all your money on quirky earrings and vinyl wall decals. Would that be LSD? Acid? Are LSD and acid the same thing? Apparently I don't know my drugs well enough. Ah, it all makes sense now. 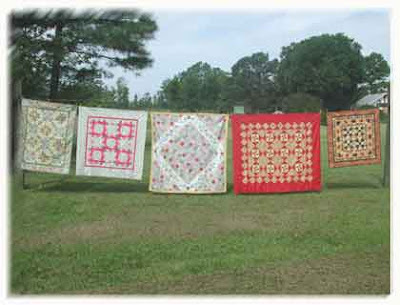 And I completely agree, Etsy is rather drug-like. Wonderful! I always am the explorer. Or a bad planner. Hence my trips are all of a sudden but i have enjoyed them.